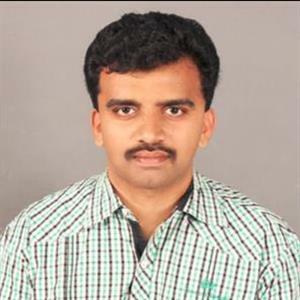 Warangal Collector shocks with ghost story! SIBY HERALD August 21, 2018 10:38 IST Warangal Collector shocks with ghost story! A female collector has made a shocking revelation of ghost existence in the first floor of a government building, in Warangal district. Amrapali Kata has been the collector of Warangal district and she had been allocated residence at a government bungalow by the district manager, and she had been staying there. She had recently expressed about her interesting experiences in the bungalow allocated to her in a web channel. She had made a Shocking revelation that the bungalow has ghost existence. This has created shockwaves across the state. Amrapali Kata has been allocated a bungalow that was constructed in Nizam rule and was constructed before 133 years. The foundation of this building was laid by the wife of the construction engineer George Palmer's wife. In Nizam rule, Palmer had been the supervision engineer of buildings in Karim Nagar, Khammam, Warangal and now the buildings constructed before 130 years have started developing cracks. As maintenance works are on, Amrapali Kata has said that ghosts which resided in the building have started troubling. She added that even when she arrived she was instructed to use the first floor as storeroom as ghosts are living, and the first floor was kept clean, but still she doesn't want to live there as she fears that ghosts which has been seeking company for 133 years.